Alison MillingtonSimon Cundey, managing director of Henry Poole & Co. 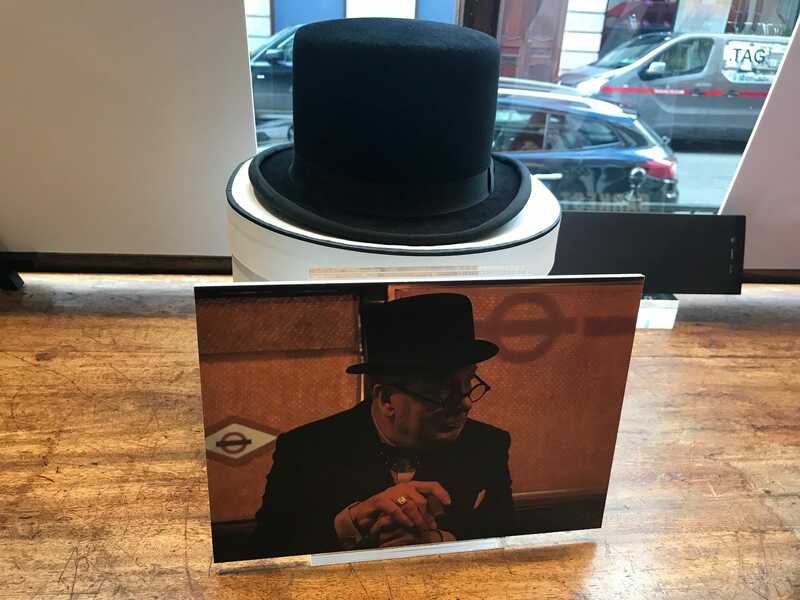 The tailors dressed the real Churchill throughout his life. 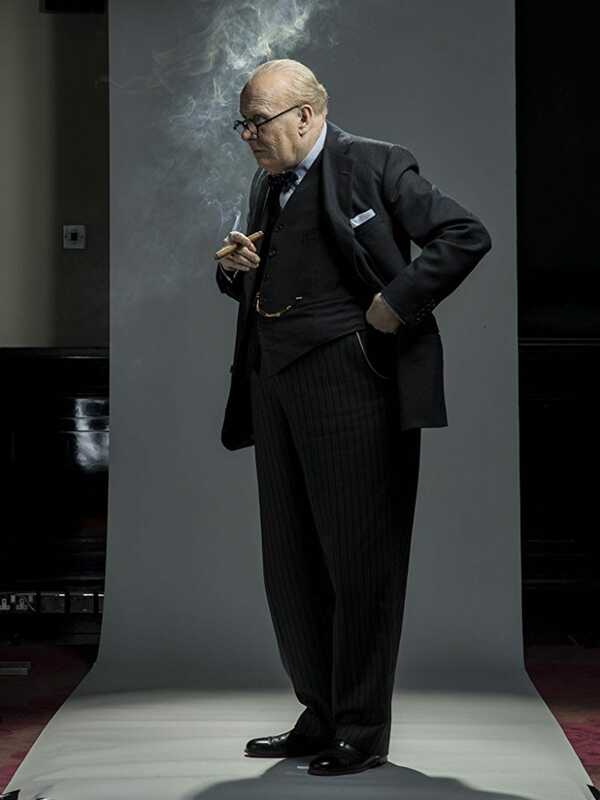 Henry Poole & Co., one of the oldest tailors on London’s Savile Row, was given just seven weeks to create the suits worn by Gary Oldman in this year’s Oscar-nominated film “Darkest Hour,” in which Oldman plays former Prime Minister Winston Churchill. 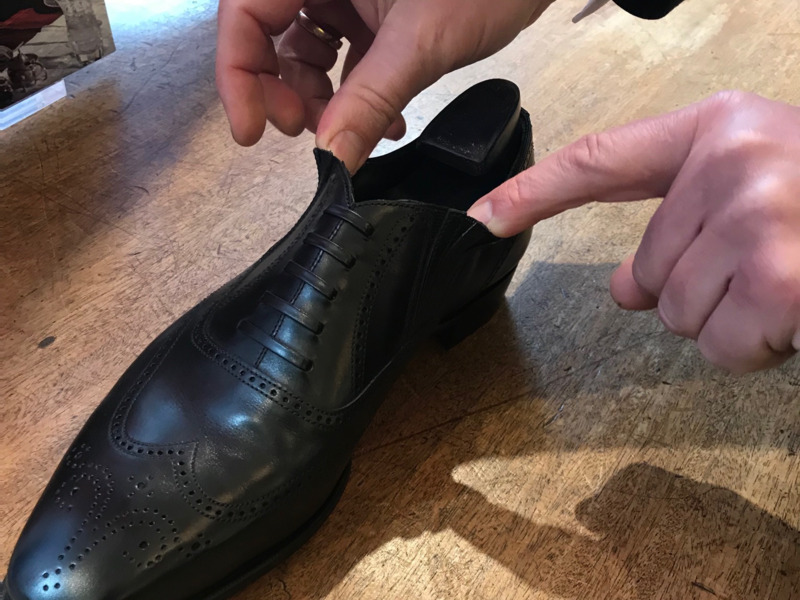 “Normally we’re looking at around 12 weeks to do any kind, of suit, so this was a challenge,” Poole’s managing director, Simon Cundey, told Business Insider. 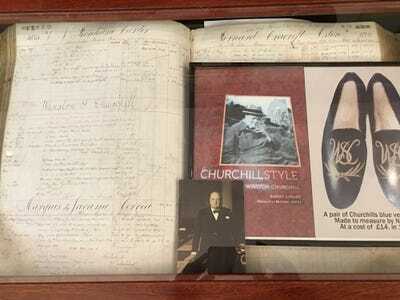 But if anyone could do it, it’s a company that knows Churchill’s style inside and out. The tailor, established in 1806, dressed the former PM himself from the age of 35. “His father, Lord Randolph Churchill, was here as a customer and he had suits made,” Cundey said. 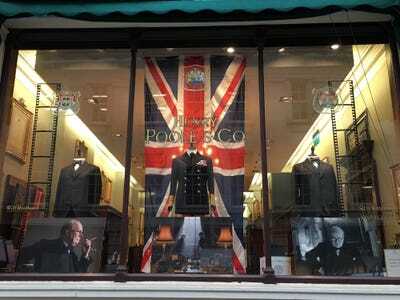 While Randolph died at a young age, Winston came to Poole in 1905, according to Cundey, and he ordered his first uniform in 1906 – the Trinity Uniform. Cundey’s great-grandfather Howard Cundey initially looked after Churchill, while his grandfather Sam Cundey saw him through his later years. “We saw him evolve into what was a great Prime Minister, [but] we took him as a young junior with his slim build at the time,” Cundey said. 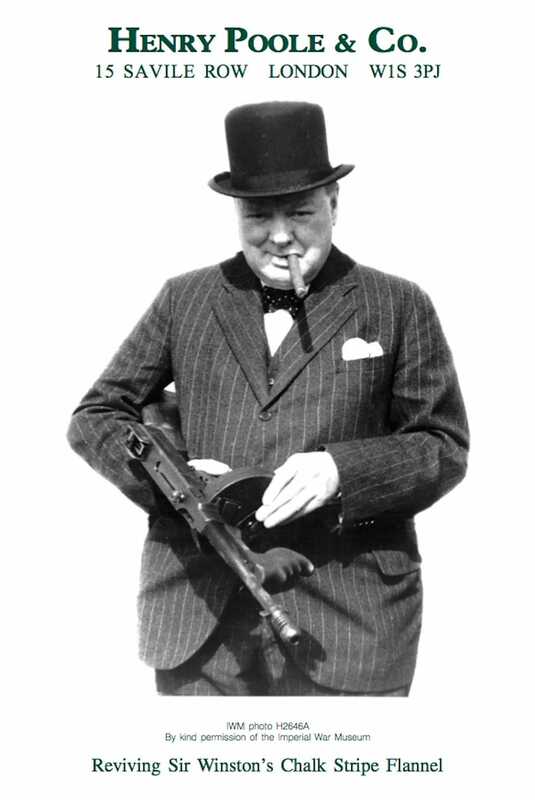 The most iconic Churchill look from Poole by far was his Chalk Stripe flannel, which he’s wearing in his famous 1936 Tommy gun photo, shown below. Cundey even had the image on his teacup when we met. Despite his appeal, working with Churchill was far from easy. 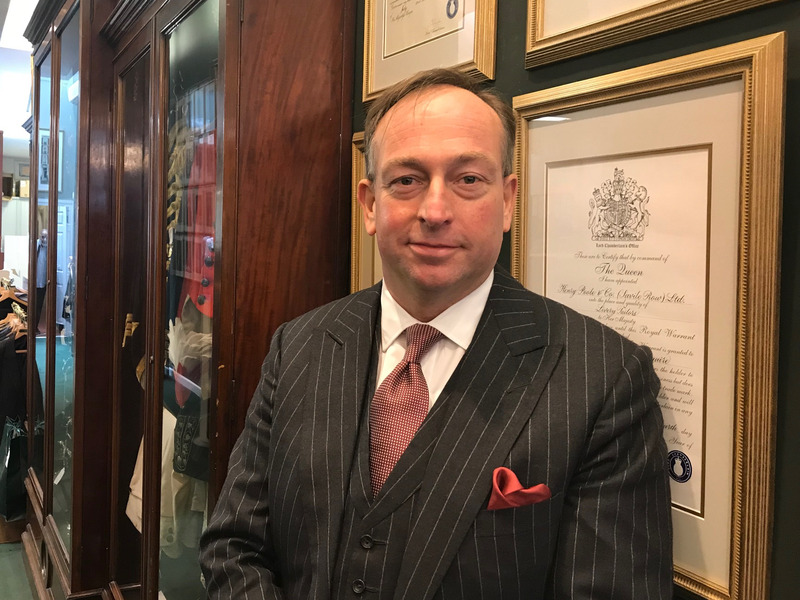 He said the company’s chief accountant “instead of being diplomatic with his ways of asking for payment… thought it would be upper hand and [get] a quicker response to send [the bill] to Downing Street on the day that he was made Prime Minister. The company received a letter saying “Thank you for your services,” but luckily they later made up. 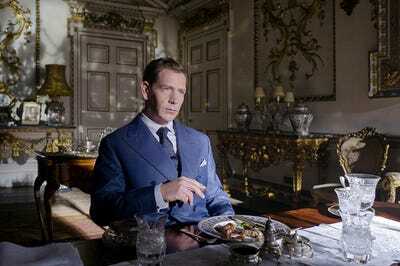 They were approached by Oscar-winning costumer designer Jacqueline Durran – known for “Beauty and the Beast” and “Anna Karenina” – and thought “this must be someone of high calibre,” Cundey said. However, with Oldman based in Los Angeles, putting the suits together was almost as difficult as working with Churchill himself. “The prosthetic body suit [he wore under his clothes] was being made for him in Hollywood, so a Japanese gentleman was measuring him out there for the costume,” Cundey said. “We had to go out there to measure him with the [prosthetic] suit on, and then go back and measure him for the first fitting when he was coming over to do his first rehearsals. “We did it, came back, got the pattern ready, got the cloth ready,” he said. Luckily, it was all worth it – and the film’s six Oscar nominations include one for Best Achievement in Costume Design for Durran. The company, known for dressing Her Majesty the Queen in her ceremonial cloaks, also dressed Ben Mendelsohn, who played King George VI (the Queen’s father), shown in the image below. 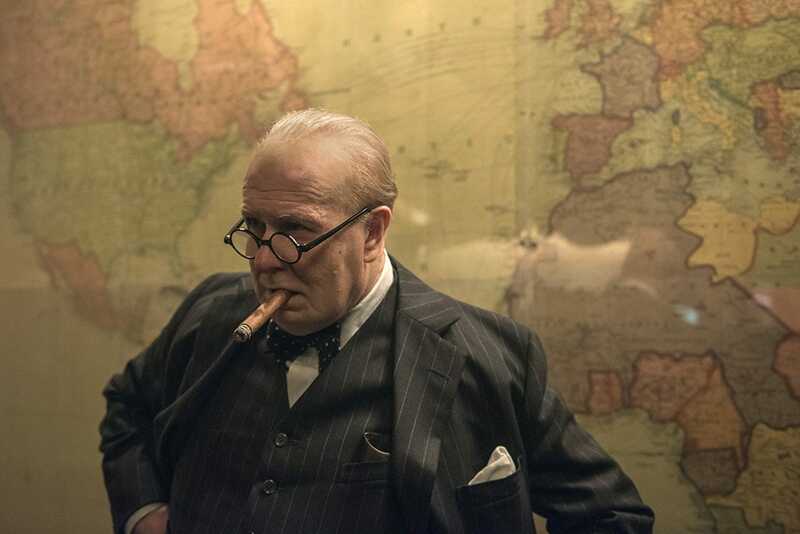 And it wasn’t just Poole the film got on board – according to Cundey, they went to all of the tailors that worked with Churchill. “There’s a great little Churchill walk you can now do, of all the houses he frequented here in Mayfair and St. James’s,” he said. 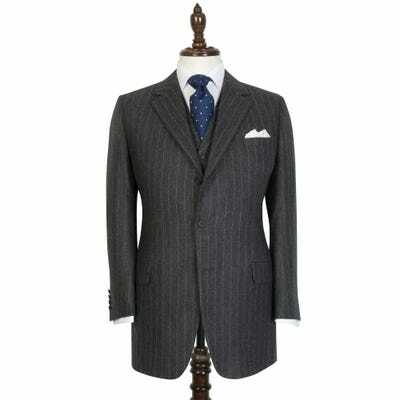 “Sadly, poor old Gary didn’t get a chance to have the suit at the end of the day, because they didn’t really fit him,” he joked. Due to the prosthetic body suit, the cuts were far too big for him.